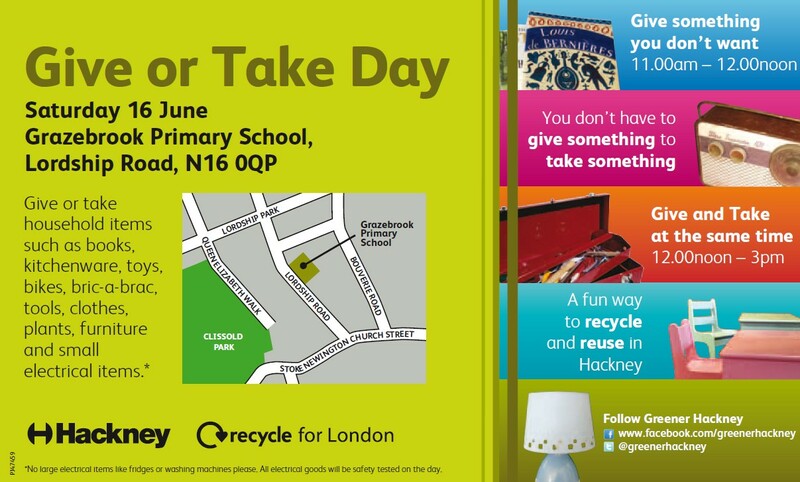 Hackney Council's Give or Take Days are a great way of getting rid of items that you don't need, and taking items you do. 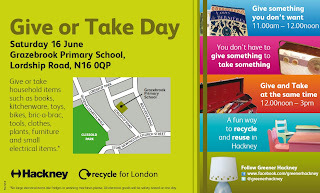 Simply turn up on the day with items that you want to give, or come along and take what you need. You don't have to give something to take something!